Our Tableau blogging community did not disappoint in January! Check out a few highlights. As a parent of two unruly daughters, I personally love Adam Crahen’s blog post on the ingenious marriage of parenting, Alexa, IFTTT, and Tableau to create a way for tracking his kids’ behavior. Not only is it a smart use of modern technology, it shows us how data can be used in all walks of life, not just at work. See this as a call to arms – what methods have you used to integrate smart technology to quantify your daily life? Let us know in the comments, or tweet me at @acotgreave. As the Tableau platform grows, I’m also delighted to see people sharing their explorations beyond the desktop. For the coders, we’ve got great posts about integrating Tableau with Python. 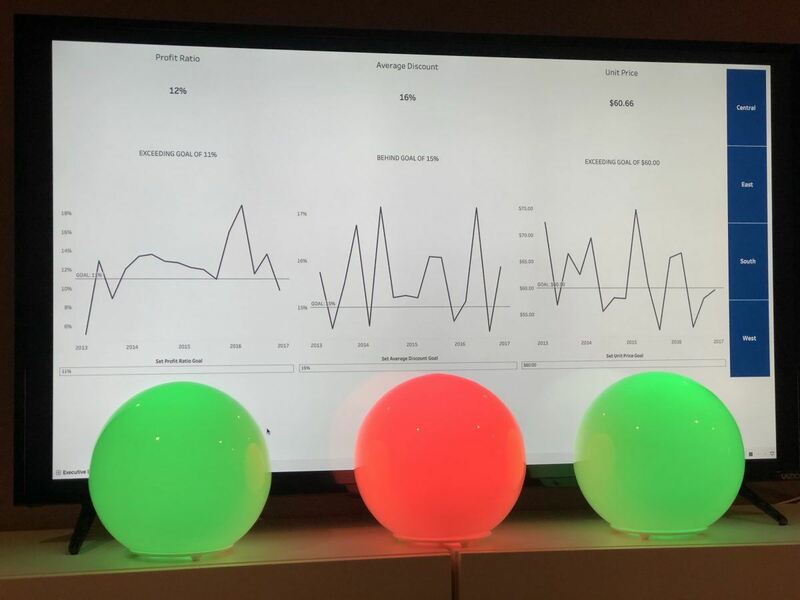 For instance, Ann Jackson’s integration of Tableau and smart light bulbs is clever and practical. Tamas Foldi shows us how easy it is to integrate live currency conversions into your dashboards. And Ken Black’s analysis of the Hyper Data Engine speeds is excellent. With the new extensions API, and Project Maestro (our amazing new data prep product) around the corner, there’s a big opportunity to blog about more diverse topics in future months. There are also some really thoughtful posts from people considering what data visualization is all about. Mark Bradbourne’s post on iteration is really important. Why? One lesson I’ve learned over 10 years of using Tableau is that when you think your viz is finished, it’s time to show it to someone else, because other people are better judges and have useful input. Never develop a viz in isolation: always seek feedback and iterate. Questions in Dataviz What alternative ways are there for visualising timelines? David Sanchez Revelations – densification using bins and Index in Tableau. Case in point: normal distribution.